In the years before 1800, this was the Land of Goshen - so nicknamed by the Reverend David Badgley who traveled here in 1799 from what is now Monroe County - an untouched region of milk and honey beckoning the early settlers from other parts of the Illinois territory and the eastern states. It was Thomas Kirkpatrick, a South Carolina man, who constructed the first settlement, a log cabin in 1805, in what was to become Edwardsville. One of the early cabins, now covered with siding, still stands at 1712 N. Main Street. Later, as the commerce center of Edwardsville moved to its present Main Street location, Kirkpatrick's original area would come to be known as Lower Town. 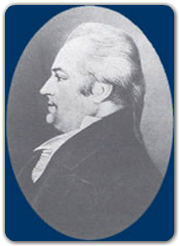 Ninian Edwards, the first Illinois territorial governor, created Madison County in 1812 and designated Kirkpatrick's farm as the seat of justice. Three years later, Kirkpatrick surveyed the tiny settlement and named it Edwardsville in honor of the governor. It became the third oldest town in Illinois. Edwardsville grew quickly, with stores opened in 1815 and 1816 by Abraham Prickett and Benjamin Stephenson. Stephenson was a Virginian who came to Illinois via Kentucky in 1809, eventually building a house in 1820 at 409 Buchanan, an excellent example of Federal-style architecture. It was recently refurbished and now hosts a variety of events. John T. Lusk, who built the first log cabin in what many years later was to become the luxurious residential area of St. Louis Street, was proprietor of the first hotel in the city at Main and Union Streets. After Lusk's log structure was destroyed by fire, the Edwardsville Hotel was built in 1840. Lincoln and Douglas were among its distinguished guests during the 1850s. During the early years, Edwardsville continued to grow. Governor Edwards made it his residence and later built a large home at the comer of Buchanan and Vandalia (where St. Boniface Church is now), a bank was established and the town became the seat of the United States Land Office. In 1818, Illinois was admitted to the Union as the 21st state. Another of the early residents of Edwardsville was Abraham Prikett, a native Kentuckian who first came to the area in 1808. He was postmaster in Edwardsville for several years and was a delegate from Madison County to the convention which assembled at Kaskaskia in July 1818 to form the first Illinois constitution. The first town government was established in 1819, with official incorporation bestowed by act of state legislature, which appointed seven men as the board of trustees. Also by 1819, the first library in Edwardsville had been organized. John Randle was the first librarian, watching over the list of 83 titles, mostly histories and biographies. Many of the original books are today at the Madison County Historical Society. 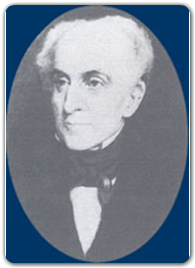 Edward Coles, an important resident, was appointed, in 1819, as registrar of the land office. Born in Virginia in 1786, Coles had served as a private secretary to President Madison for four years and had served as a private envoy to Russia before he came to Edwardsville. A strong foe of slavery, Coles, while he was governor of Illinois from 1822 to 1826, fought to keep Illinois erected a monument to Governor Coles on Highway 157 outside of Edwardsville. Edwardsville boasts a total of five residents who served as governor of Illinois. Besides Edwards and Coles, John Reynolds, the fourth governor of the state from 1830-34, lived for a time near Edwardsville, and Thomas Ford, the eighth governor, from 1842-46, called Edwardsville home. Later, Illinois' 25th governor, Charles Deneen, was born in Edwardsville during the Civil War. Unfortunately, by 1834, the town's trade had been absorbed by St. Louis and, subsequently, by Alton, and the population of Edwardsville began a decline. According to "Peck's Gazeteer of Illinois," the town had 350 inhabitants with "a courthouse, a brick jail, four stores, two taverns, two physicians, four lawyers, a castor oil factory, and a female academy." Part of the town's troubles, according to Brink's History of Madison County, was the groundswell of support in Alton to have the county seat moved from Edwardsville to Alton. The efforts of Edward M. West, an early Edwardsville resident, however, kept the courthouse in town. Edwardsville then began an upswing. Improvements were made, the town was reincorporated by the Illinois General Assembly in 1853, a new brick courthouse was built in 1857 at the present courthouse square location and Edwardsville's businesses followed the seat of government "uptown". In 1863, Dale School was built, a three-story brick building that was the first large public school in Edwardsville. It was built on the site of the present Columbus School. The Civil War was fought and Edwardsville survived any direct battle conflict, although several of its citizens went off to fight, notably, Captain George C. Lusk, son of John Lusk, who headed up Company K of the 10th Regiment of the Illinois Infantry.